Insightful tips for the budding artist. This Blog is associated with Affiliate Marketing. For every purchase you make after clicking one of the affiliates I support, I will be paid a percentage. I love my affiliates and promote businesses that work for artists and collectors. Rather than give a long intro I'm just going to jump right into defining shade and shadow. Shade: the part of an object that does not receive light. 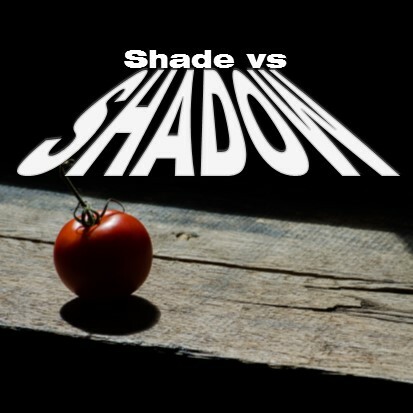 Shadow: The part of the surface that does not receive light because an object is blocking the light. Easy peasy - the end. I wish. Nope, there's more. Defining an object in the darkest areas and setting it apart from it's surrounding can be an extremely difficult process if you don't know what you're doing. In monochrome drawing and painting (like black and white), the object's shadow is never right at the back. Light from the surrounding surfaces reflects back onto the object defining it from the shadow. And usually, the darkest part of the shade is in the middle. The object will gradually get dark, then light again as it reaches the back. Now this won't be true if you're creating a stylized image for graphics or something - but that's a different story. Today we're taking about more realistic copies of reality. So once you've got the monochrome down, maybe you want to add color to your image. Whatever color your object is, it's shade should be a combination of it's color and it's complimentary color. So you'll need to familiarize yourself with the color wheel and perhaps develop some of your own color charts as you experiment. mY OWN STUDY OF SHADE AND SHADOW DURING UNIVERSITY USING COLOR. To reiterate, mix your objects's color with it's complementary color to get the shade color. Awesome! So should I do that with the shadow too? Well I suppose you could take the surface color and mix it with it's complimentary color to produce the shadow. It can work. And another idea I like to use is to make the shadow the object's shadow the complementary color. So, the objects' shade is a mix of two colors, but the shadow is ONLY the complementary color. It doesn't have to be bright or over-the-top, but it will make the object stand out more. My oranges study is an example of this. I hope you try this out and show me some of your creations!